HOTEL MARSELLI – L'ospitalità è di casa. 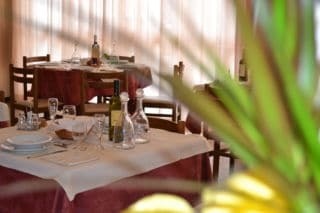 Welcome to Hotel Marselli, a modest and romantic 3-star hotel in San Giuliano Mare, Rimini. Here you will always be greeted with a smile and given attention to things that matter, such as local traditions, the typical friendliness of Romagna, love for food and good company. The family-run management allows us to share with our guests every moment of the day and we always try to satisfy their expectations. We are just a stone’s throw from Marina Centro and Rimini Fiera Exhibition Area. Our location is perfect for those who wish to enjoy a relaxing vacation at the beach or visit Romagna amusement parks, the beautiful medieval castles in the hinterland or do some shopping at artisan workshops and factory outlets. You will also have the opportunity to explore the nearby hills thanks to our bicycle touring itineraries. 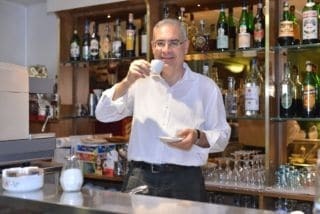 Our hotel’s bar is at your disposal every time, untill late night, foe a relaxing moment with a refreshing drink, a cup of tea, a real italian espresso or excellent wines. A very welcoming atmosphere, ideal for relaxing after a day at the beach. Don’t miss the chance to participate in the most important events: book now your hotel in Rimini and get ready to get involved in an incredible mix of events, concerts, parties by the sea! Discover the Offer for the event proposed by our structure: located at 250 mt. from the sea, it is the ideal stay solution for you want to give free rein to your passions and participate in every day of the event! Don’t miss the chance to take part in the most important fairs: book now your hotel in Rimini and get ready to get involved in an incredible mix of events, stages, presentations, workshops and training! Discover the offer for the fair proposed by our structure: located not far from the fair environment, it is the ideal stay solution to participate in every day of the event!